“In the absence of leadership from the Obama administration, Putin continues to do what he wishes fearing no pushback from the United States, and now Russia is conducting air strikes that are exacerbating the humanitarian crisis. 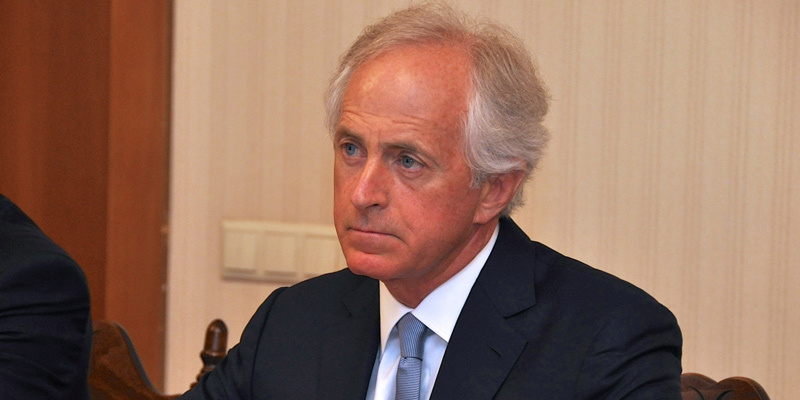 In 2013, Senator Corker sponsored legislation to arm and train a vetted Syrian opposition force when the Obama administration did not support such a policy. He also led Senate Foreign Relations Committee passage of a limited authorization for the use of military force in Syria that year after President Obama sought congressional approval for military strikes against the Assad regime for its use of chemical weapons. The administration instead chose to pursue an agreement with Russia for the removal of Assad’s chemical weapons. Since then, the Assad regime has continued to kill civilians with barrel bombs, some containing chlorine gas, while retaining a secret stockpile of chemical weapons. The Senate Foreign Relations Committee is conducting a series of hearings over the next several weeks on the U.S. role and strategy in the Middle East.